His research interests are in the area of synthetic organic chemistry, heterocyclic and medicinal chemistry. 1. A. Al-Dhfyan, Synthesis, crystal study and anti-proliferative activity of some 2- benzimidazolylthioacetophenones towards triple-negative breast cancer MDA-MB- 468 cells as apoptosis-inducing agents,Eur. J. Med. Chem.,2016. 2. Abdel-Aziz, D. A. Abou El Ella, C. T. Supuran, Amido/ureidosubstituted benzenesulfonamides-isatin conjugates as low nanomolar/subnanomolar inhibitors of the tumor-associated carbonic anhydrase isoform XII, Eur. J. Med. Chem., 2016,110, 259-266. 3. M. Fares, M. Adel, M. A. Alsherbiny, R. A. Eladwy, H. Almahli, M. M. Abdel-Aziz, H. A.Ghabbour, H. A. Abdel-Aziz, Design, synthesis, biological evaluation and molecular docking of some novel sulfones as antifungal agents,Molecule,2016, 21(1), 114. 4. A. M. Alafeefy, O. Al-Obaid, M. Abdulla, W. M. Eldehna, A.-M. S. Al-Tamimi, H. A. Abdel-Aziz, R. Ahmad, C. T. Supuran, Development of certain new 2- substituted-quinazolin-4-yl-aminobenzenesulfonamide as potential antitumor agents, Eur. J. Med. Chem., 2016,109, 247-253. 5. H. S. Ibrahim, S. M. Abou-seri, N. S. M. Ismail, M. M. Elaasser, M. H. Aly,H. A.Abdel-Aziz, Bis-isatin hydrazones with novel linkers: synthesis and biological evaluation as cytotoxic agents,Eur. J. Med. Chem., 2016, 108, 415-422. 6. H. S. Ibrahim, S. M. Abou-Seri, M. Tanc, M. M. Elaasser, H. A. Abdel-Aziz, C. T.Supuran, Isatin-pyrazole benzenesulfonamide hybrids potently inhibit tumor-associated carbonic anhydrase isoforms IX and XII, Eur. J. Med. Chem., 2015,103, 583-593. 7. H. A. Abdel-Aziz, H. A. Ghabbour, W. M. Eldehna, S. T. A. Al-Rashood, K. A. Al-Rashood, H.-K. Fun, M. Al-Tahhan, A. Al-Dhfyan, 2-((Benzimidazol-2-yl)thio)-1-arylethan-1-ones: Synthesis, crystal study and cancer stem cells CD133 targeting potential, Eur. J. Med. Chem., 2015, 104, 1-10. 8. H. A. Abdel Aziz, W. M. Eldehna, M. Fares, T. Elsaman, M. M. Abdel-Aziz, D. H. Soliman, Synthesis and biological evaluation of novel 5-nitrofuran-2-yl hydrazones as potential antimicrobial and antitubercular agents, Bio. Pharm. Bull.,2015, 38(10), 1617-1630. 9. A. M. Alafeefy, H. A. Abdel-Aziz, F. Carta, C. T. Supuran, S. K. Pathak, O. Prasad, L. Sinha,Exploring QSARs of some benzenesulfonamides incorporating cyanoacrylamide moieties as a carbonic anhydrase inhibitors (specifically against tumour-associated isoforms IX and XII), J. Enzyme Inhib. Med. Chem.2015, 30(4), 519-523. Synthesis of halogen ccontaining bis-hydrazones as potent antimicrobial and antitubercular agents, 5th International Conference of Pharmaceutical and Drug Industries Research Division "Advances in Pharmaceutical Research", March, 29-30, 2015, National Research Center, Cairo, Egypt. 2. 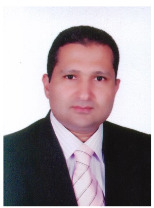 H. A. Abdel-Aziz, Hany S. Ibrahim,Influence of solvent and temperature on the synthesis of isatin-based hydrazones,5 th International Conference on Advances in Chemistry and Applied Chemistry (ICACAC-5), October 21-23,2014, NationalResearch Center, Cairo, Egypt. 3. Obaid, J. D. Whitt, B. D. Gary, A. B. Keeton, G. A. Piazza., Novel amino acid derivatives of naproxen for colon cancer chemoprevention, The 243rd American Chemical Society National Meeting, March, 2012, San Diego,USA. 4. T. Aboul-Fadl, H. A. Abdel-Aziz, A. M. Al-Obaid, A. Al-Dhfyan, A. Contini., Design and synthesis of substituted nicotinic acid hydrazones with potential antiproliferative activity, The 66th Northwest Regional Meeting of The American Chemical Society (NORM 2011), June, 2011,Portland, USA. 5. T. Aboul-Fadl, H. A. Abdel-Aziz, M. K. Abdel-Hamid, T. Elsaman, J. Thanassi, M. J. Pucci. Schiff bases of indoline-2,3-dione: Potential novel inhibitors of mycobacterium tuberculosis (Mtb) DNA gyrase (Abs. No. HL01), The 47th International Conference on Medicinal Chemistry (RICT 2011), “Drug discovery and Selection”, July 6-8, 2011,Reims, France.